LIBBY is so sweet and special. About 1 1/2 years young. She is easy and a couch potato. She adores belly rubs and just chilling. She is a real dream girl in a small beautiful red and white coat. So special and sweet. She was so scared when she got to the shelter. She is very calm in nature. When she felt better she was part of a play group the shelter started. Already said hello to so many dogs here at LBWF and just easy and relaxed. Will be a perfect girl for the lucky person or family that gets this beauty as their forever best friend! Libby is spayed, up to date on vaccines and micro chipped. If you are interested in adopting Libby, please fill out an application today. Applications can be found on our website www.LindaBlairWorldheart.org. 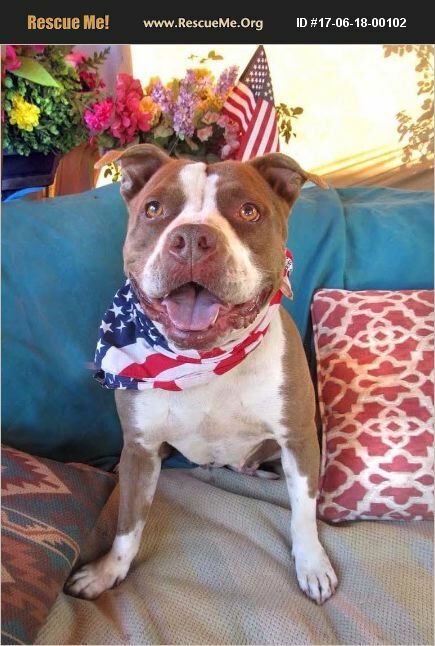 Southern, CA adoptions only due to home checks.